Vinegar Laundry Uses - See What It Can Do! 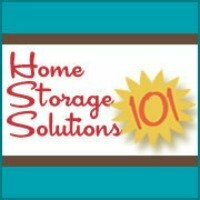 Below is a list of vinegar laundry uses for your home. One of the best places to use white vinegar in your home is in the laundry, because it can help you get your clothes clean and soft for less. Use as a natural fabric softener - add 1/2 cup to the rinse cycle and it will help get rid of excess detergent residue in your clothes. This naturally makes them softer. Vinegar, because it is a mild acid, can slowly deteriorate natural fabrics, such as cotton, over time. My experience has been that it doesn't deteriorate the clothing more than frequent chlorine bleach usage, but you should keep it in mind. Using vinegar in the rinse to remove excess detergent residue from the clothes has an added bonus, which is that it can help people who have an adverse reaction to detergents in clothes. One of my friends told me that she can tell if she ever forgets to add vinegar to the rinse because then her son will break out when he wears those clothes, because of sensitivity to detergent residue, but if she adds the vinegar this does not happen. Adding vinegar to the laundry softens the water, which can help the other detergents in the water work better. As a mild acid adding vinegar to the laundry will help whiten fabrics. 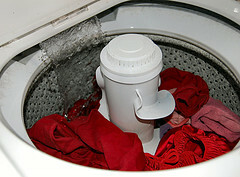 Adding vinegar to the laundry will also reduce lint. Adding white vinegar will neutralize smoke odor in the laundry. Whenever you add vinegar to the rinse cycle, I suggest you add it to the first rinse cycle so that all the vinegar is completely rinsed out of the clothes by the end of the second rinse cycle. A side benefit of rinsing with vinegar is that the vinegar will actually remove hard water deposits and soap scum residue from the inside of the washing machine itself. Clean out clogs in your steam iron from mineral deposits from hard water. You can dissolve the clogs by pouring white vinegar into the water tank. Then, turn on the iron and let it steam for a couple of minutes. Next, iron a rag to remove any residue. Finally, turn off the iron, let it cool, and then rinse with cold water.